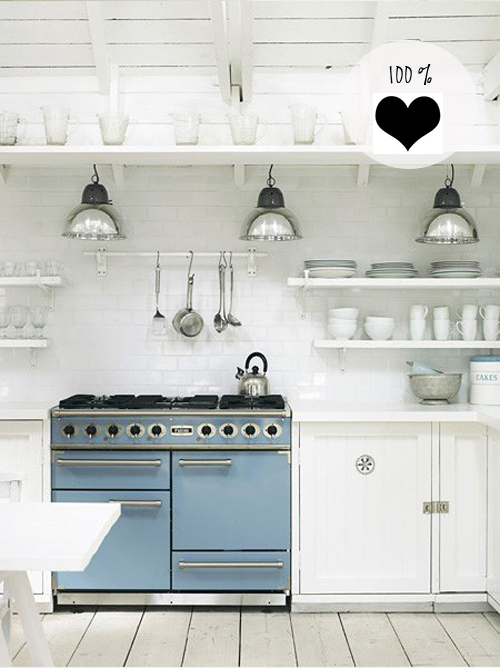 Remember this kitchen with a blue stove that I featured in January? 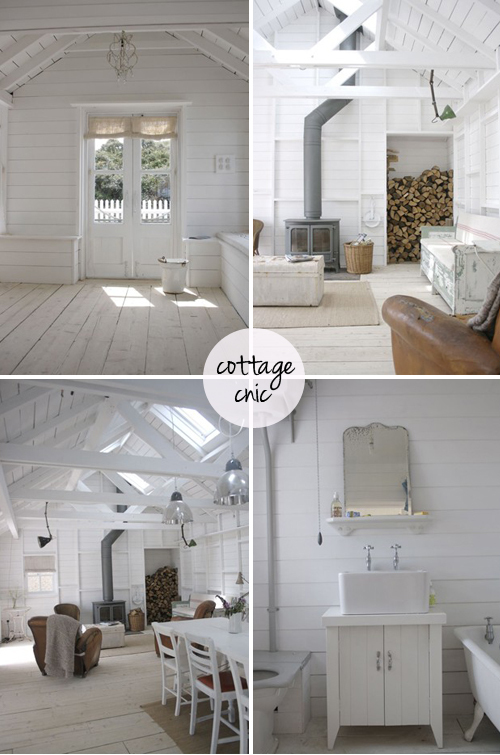 I came across some more pictures of this lovely cottage in the UK designed by Dave Coote. I thought you might be interested in seeing them! Hi, what a wonderful place, thanks for sharing! Have a great day! 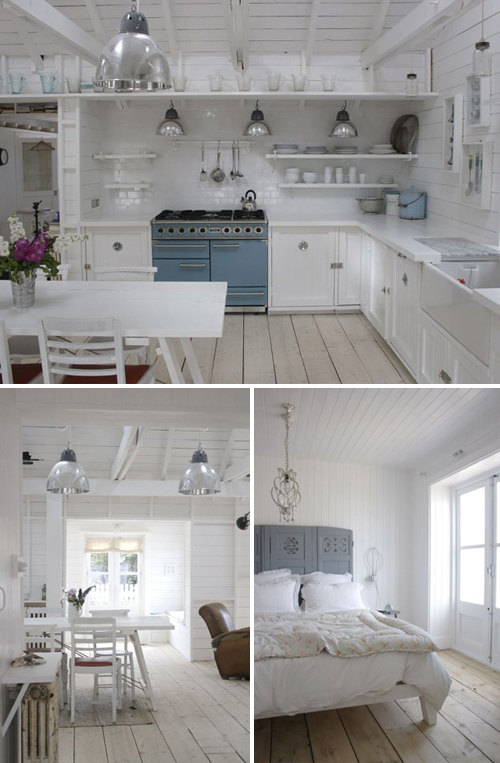 love the blue stove and white counter tops. what plant is that?! 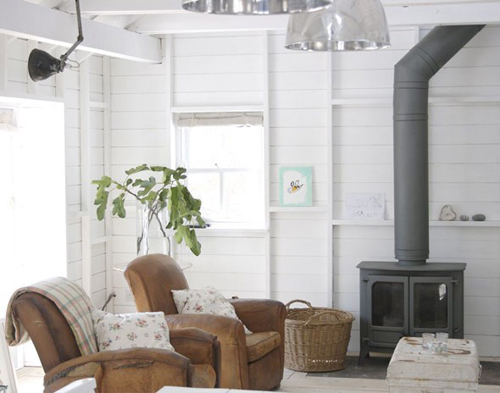 The way that woodstove is installed, it is going to burn the place down.